Posted on August 12, 2014 March 4, 2015 by Sarah R.
We write as American academics who have traveled to Palestine to establish scholarly connections with our colleagues in Palestinian universities and better understand the challenges of education under occupation. We write to state our collective objection to the revocation of the position tendered to Dr. Steven Salaita last August, rescinded just days before he was to take up his post at the University of Illinois. Dr. Salaita is a leading scholar in Arab American, ethnic, indigenous and American studies. His extensive and highly regarded publications are doubtless why the American Indian Studies program recruited him in the first place. Given his stellar credentials and in light of credible reports published by and about the organizations and individuals on record for their efforts to revoke his hire, we can only view the revocation of Dr. Salaita’s appointment as politically motivated. We view it as retaliation against his outspoken position on Palestine and, specifically, for statements he made as an individual via social media denouncing the Israeli military’s assault on Gaza. We find this retaliation and its implications deeply disturbing, and we strenuously object to the revocation of Dr. Salaita’s appointment on several grounds. As people who have borne witness to the daily humiliation and horror of life under settler colonialism and occupation, we are sympathetic to a position that fully supports the people of Gaza as they are once again starved, bombed and murdered by an unrelenting and disproportionate military assault. We believe that matters of tenor, tone and others cited as reason for Dr. Salaita’s dismissal are distractions from the issue of the political content and subject matter of his comments. That his comments may have been heated should come as no surprise, and not only because they were made in the context of Twitter. Given the murderous and destructive consequences of the latest Gaza siege, we, too, share Dr. Salaita’s indignation, fatigue, and outrage. As scholars of conscience, we are further disturbed by your unilateral decision to revoke Dr. Salaita’s appointment. We recognize this act as not only a clear violation of norms of faculty hiring and governance, but also as a deeply sinister threat to the concept of academic freedom. We are concerned about what this action means not only for Dr. Salaita, but for other academics as well, particularly those who–as many of us do–speak out against Israel’s actions. That Dr. Salaita’s position was revoked due to his speech acts, in particular for those uttered outside his professional capacity, portends a very bleak future for academic freedom. Academic freedom should not be interpreted as a policing mechanism for public intellectuals. To do so harkens to a past when scholars were routinely fired and blacklisted for speaking critically against the status quo. We are alarmed by this turning back of the clock and now must, each and every one of us, reevaluate any commitments we have to participate in any scholarly endeavors associated with the University of Illinois-Urbana Champaign. 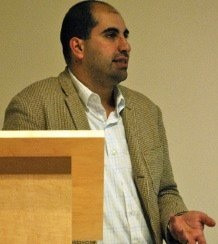 Many of us have longstanding relationships with UIUC, its research centers, academic programs, faculty and students, but we will not accept invitations to lecture, accept visiting positions, or engage in other such activities that contribute to the institution’s business-as-usual until Dr. Salaita’s position is reinstated. We will encourage others to do the same. Chancellor Wise, there is still time to correct this gross error in judgment that not only leaves Dr. Salaita without a job, but that also tarnishes the reputation of your university and threatens the academic freedom of us all, especially those of us who share Dr. Salaita’s commitment to speaking out on behalf of justice in Israel/Palestine. We urge you to reinstate Dr. Salaita at once, to extend apologies to him, and to ensure his protection from further harassment and discrimination.